Popular vocalist CHRIS MARIANI returns to the SideNotes Cabaret Series at Sunset Playhouse December 16-19, 2015 in HAVE A COOL YULE. Backed by a sextet of exceptional musicians, Mariani will present a blend of ’40s romance, ’50s swing, and holiday favorites in a program of stylish standards. 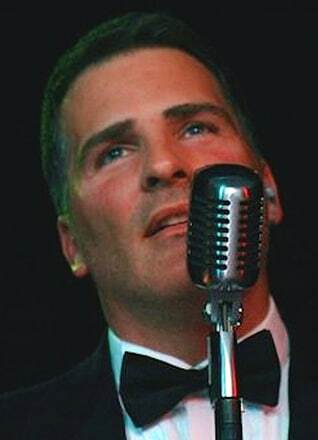 Inspired by Frank Sinatra, Tony Bennett, Dean Martin and other renowned crooners, Mariani has been compared to contemporary performers like Michael Bublé and Harry Connick, Jr. Winner of the 1994 WAMI (Wisconsin Area Music Industry) Male Vocalist of the Year award, he first gained recognition as a rock and roll singer but returned to the music from the Great American Songbook he’d heard as a child growing up in Milwaukee. Mariani’s backup ensemble is comprised of Sam Steffke (piano), John Babbitt (bass), Jim Ryan (drums), John Rose (trumpet), Paul Brozowski (trombone), and music director/arranger Jeff LaBarge (saxophone). Performances are Wednesday, December 16 at 8:00 p.m., Thursday, December 17 at 8:00 p.m., Friday, December 18 at 8:00 p.m., and Saturday, December 19 at 3:00 and 8:00 p.m.
Sunset Playhouse is proud to be celebrating its 56th season, and now offers eight productions in the Furlan Auditorium, six Musical MainStage concerts, and three shows in the bug in a rug Children’s Theater series. To reserve tickets, call 262-782-4430 or visit www.sunsetplayhouse.com. For group sales, contact Stephanie at 262-782-4431, ex. 291.